I think it is important to upgrade our knowledge and skills when we grow older. Not only it helps us in getting our desire job, it will also benefit ourselves in the long run! Today, I will be sharing where and how you can upgrade and deepen your own skills and knowledge! "PACE is a multi-disciplinary Continuing Education and Training (CET) Academy, committed to offer a variety of relevant courses for adult learners to enhance their employability. 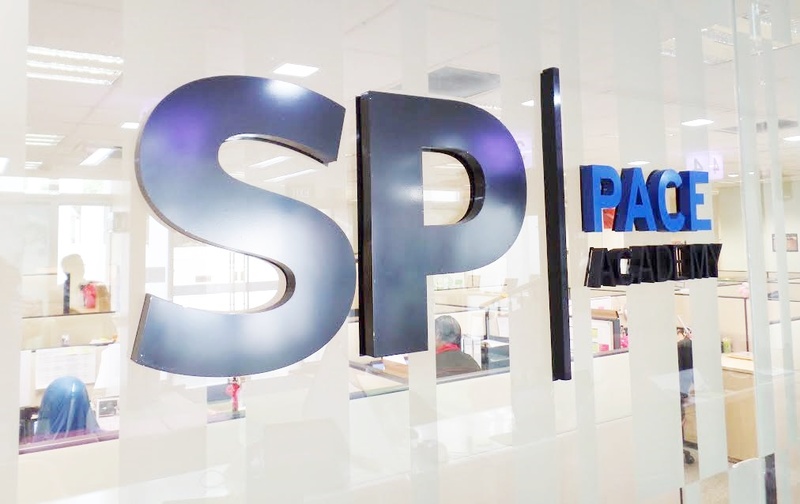 PACE Academy offer a wide variety of programmes for you to choose from and I am pleased to share with you guys the awesome benefits of their ​ SkillsFuture Earn and Learn Programmes​! This programme is actually designed for fresh Full-Time graduates from ITE or one of the 5 polytechnics in Singapore! In order to be part of this, you got to be an ​employee​ of an Earn and Learn Programme Participating company! Don't you agree it is important to always strive for the best at work? This Earn and Learn Programme is going to be very helpful for you! 2.5 years back, I was so close to giving up on studies. I am not the kind of student aiming for High distinction or even a Grade A. If I was given just a pass for my exams, I am actually quite contented. I have never like the whole idea of studying, maybe it just isn't my kind of thing and I'm envious of people getting good grades! I dreaded exams so much, and I always disappoint my parents with my poor grades when I was in Secondary school, which is why I didn't make it to any poly! I was young and foolish. The only choice for me was ITE, but my parents have also made a decision to send me to Private school to take my Diploma. I agreed with the decisions they've made and went ahead to carry on with my Private Diploma. After knowing how costly private school was, it has driven me to work even harder! If I was given a second chance to work really hard in Secondary school days, I will. So that my parents wouldn't have to splurge a lump sum on the course I've taken 2.5 years back! For those who didn't know, I managed to complete my Diploma when I was 19 turning 20? And after my graduation day, I made another choice of not pursuing the uni life which my parents have opposed the idea. But... I managed to persuade them that I wanna go out and work instead of spending my youth away and forcing myself to study! After close to 2 years of working in the sales and marketing industry, I felt that I wasn’t good enough as compared to others ​(Where SkillsFuture Earn and Learn programmes will come in handy if it was introduced back then). So I decided to resign and went ahead with my modeling and blogging career, which also managed to bring a decent income every month and I'm still very thankful that I've made this decision because I'm doing what I love! The reason why I'm sharing this with you guys is because it is so important to keep learning and think of your future, do well for your own future and continue your education if it gonna benefit you in the long run. Whatever decisions you've made now, believe me, your future will thank you, so please make a good one! SkillsFuture Credit, how do they work? Do note that SkillsFuture ELP is only for company sponsored participants oh! However, self-sponsored individuals need not be disappointed because PACE Academy offers SkillsFuture Credit courses for individuals who are looking for financial incentives to grow their career and for personal development! :D PACE Academy currently offers about 148 courses which are eligible​ for SkillsFuture Credit! For people who are 25 years and above and have received their SkillsFuture Credit account activation letter will be eligible an initial credit of $500 which can be used to pay your course fees!! After knowing what SP has offered, I really find this ​ SkillsFuture Programmes ​is very helpful for adult learners who want to enhance their employability! I won't lie that getting a good paycheck in Singapore is pretty tough, and if you want a better paycheck and position... I am pleased to share that Singapore Poly is offering you this amazing opportunity! Click HERE​​ to look for the courses that suit your interest and your jobscope! To APPLY ​​this SkillsFuture Earn and Learn Programmes!